The Point Atlantic II Condominium in Aventura. 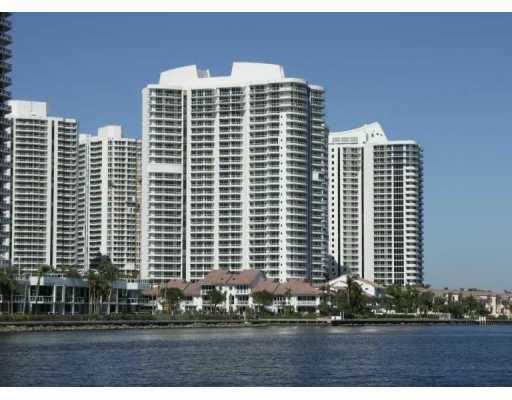 The Point of Aventura Atlantic II Condos for sale. The Atlantic II condominium was actually the first of the three waterfront Atlantic Towers to go up in waterfront, The Point of Aventura community. As with all of the The Point of Aventura towers designed by Robert Swedroe, the Atlantic II was designed with privacy in mind. The 31-story luxury tower is home to only 168 condominiums residences - providing for increased privacy and a very comfortable lifestyle. The Point and Atlantic II Tower hospitality services include 24-hour gate and lobby security, valet, and concierge services. Atlantic II condominium is located at the heart of The Point in Aventura, just behind the central Club & Spa area from the main entrance on Yacht Club Drive. From this vantage point, residents looking at condominiums on the east side of the tower will enjoy breathtaking eastern views of the Intracoastal Waterway and Atlantic Ocean. Buyers to the west side of the building can look forward to enjoying views of noted landscape artist Water Bradshaw's landscaped water gardens, as well as The Point Marina just beyond. Eastern views to the ocean will never be obstructed as Atlantic II overlooks Golden Beach (directly to the east) and Golden Beach, by law only allows single family homes and no commercial developments ever! Living areas feature sweeping floor to ceiling sliding glass doors as well as the glass-paneled balcony railing to provide pristine views from all windows. In the kitchen buyers will find granite countertops, recessed task lighting, state-of-the-art appliances and more. At the center of The Point of Aventura community is the 25,000 square foot Residents Club & Spa. The expansive clubhouse features Mediterranean architecture, and is open only to Atlantic and The Point residents. The facilities include: The Point Place Café; a fully equipped cardio, weight training, and aerobics facility; his and hers spa and treatment facilities; billiard, garden, and media rooms; and a private nail care studio.